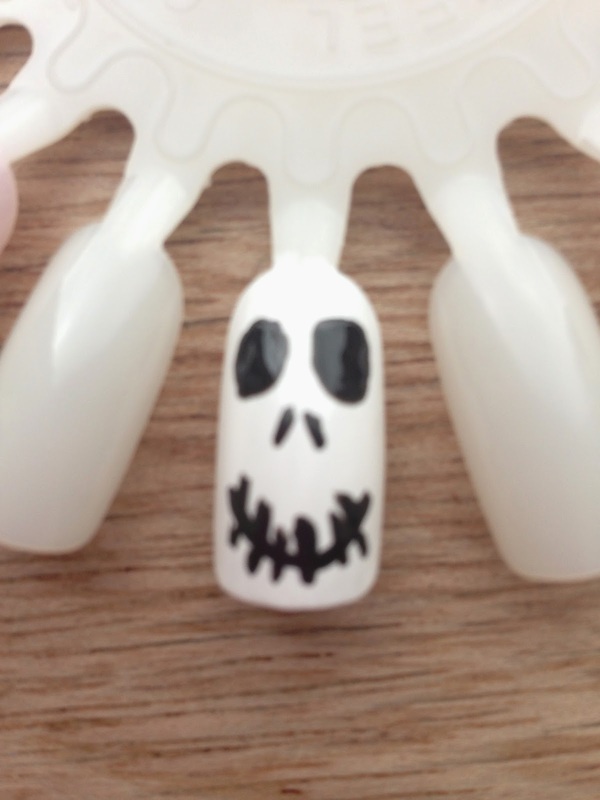 Today I have number 4 in my easy Halloween nail art series, Ghostly nails. This is a super easy ghostly look that is easy to do but looks great and is perfect either all the nails or as an accent nail. 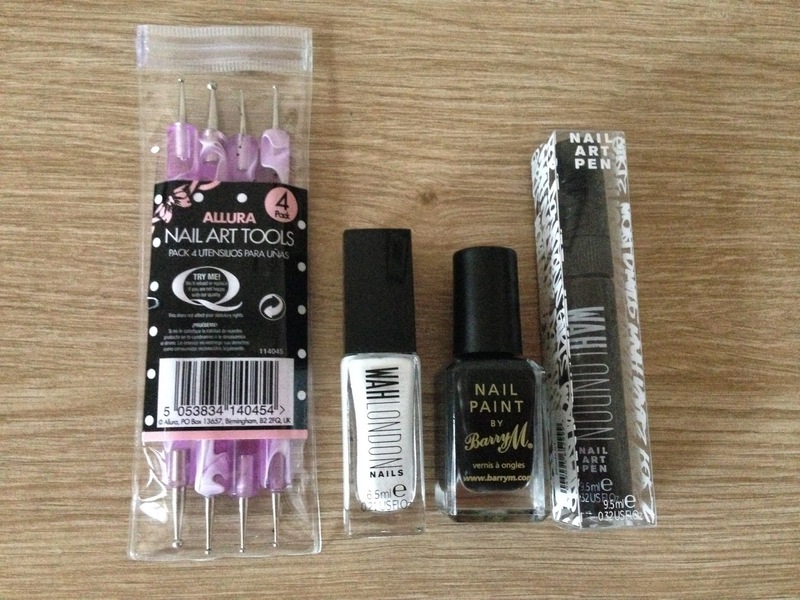 L-R Dotting Tools, Wah London polish, Barry M Nail Paint, Wah London nail art pen. 1. Dotting Tools, if you don't have dotting tools a cocktail stick or hair grip/bobby pin is fine. 2. Any White nail polish. 3. Any Black nail polish. 1. Apply a base coat of your choice and leave to dry fully. 2. Apply 2 coats of White nail polish, leaving each coat to dry in between. 3. Using either a dotting tool or a nail art pen, make 2 oval shapes at the base of the nail for eyes, 2 short lines on a slant for the nose and then a smile with lines through the smile to create a stitched mouth. 4. Once the nails are fully dry, apply a top coat of your choice. I hope you liked my Ghostly nails, if you missed the other 3 nail art looks in the series I will link them below. If you do recreate the Ghostly nails or any of the nail looks in this series please send me a photograph, all my social media links are to the right hand side of my blog under the header where to find me and all have click able links.